Abscess– a swollen area of skin or tissue that fills with pus, caused by a localized infection. In dentistry, an abscess can occur in the mouth’s soft tissue, and inside a tooth. Abutment – the term used to denote the teeth on either side of a missing tooth. This term is also used in implant dentistry. Adhesion – the sticking together of unlikely substances. This term is often used in conjunction with dentures. Aerobic Bacteria – bacteria which grows in oxygen-rich environments, found outside the sulcus in the oral cavity. Afferent – the nerves that carry sensory messages to the brain. Agar – a gelatin-like substance obtained from seaweed and used is an impression material. Alginate – a material used by dentists to take impressions of the teeth and gums. 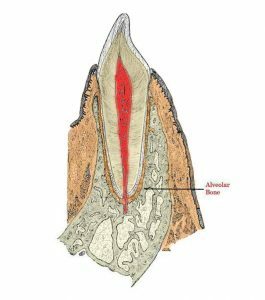 Alveolar Bone – the bone surrounding the root of the tooth. The loss or deterioration of this bone is typically associated with severe periodontal (gum) disease. Alveolar Crest – the highest portion of the alveolar bone. Alveolar Eminence – the outline of the root and the facet of the bone. Alveolus in Dentistry – the bone socket in which the root of your tooth sits. Alveolectomy – an operation in which portions of the alveolar bone are removed. Alveous – the bone socket in which the root of the tooth sits. Anaerobic Bacteria – bacteria that does not need oxygen to grow, usually associated with periodontal (gum) disease. Anomalies – dental anomalies are craniofacial abnormalities of form, function, or position of the teeth, bones, and tissues of the jaw and mouth. Antagonist – a structure that opposes another structure. Antimicrobial – the destroying or inhibiting of the growth of bacteria. Antiseptic – a chemical agent that can be applied to living tissues to destroy germs and harmful bacteria. Apex – the pointed extremity of a structure or the tip of your tooth root. Apical Foramen – the opening at the end of the root of a tooth through which the tooth receives is nerves and blood supply. Aphthous Ulcers – a type of mouth ulcer. The medical terms used to refer to canker sores are “recurrent minor aphthous ulcers” and “recurrent minor aphthous stomatitis.” Canker sores are the most common type of mouth ulcer. Arch – the curvature of your mouth; both the maxillary (upper) and mandibular (lower) ridge form a horseshoe-shaped arch. Articulating Paper – the carbon paper placed between the upper and lower teeth to mark points of contact. Articulator – a mechanical device used to replicate functional movements of the jaw in a dental laboratory. 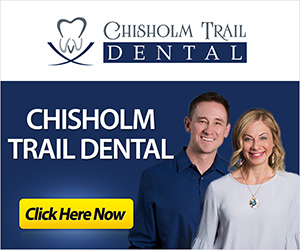 Artificial Crown – a fixed restoration of the major part of the entire coronal (crown) of your natural tooth, or the visible portion of the tooth. Crowns are usually made of gold, porcelain, or a combination of gold, porcelain, and acrylic resin. 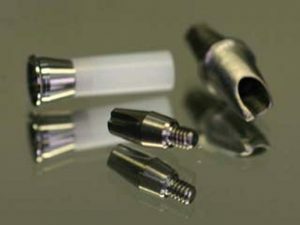 Aspirator – a tube which the dentist places in your mouth to remove saliva and debris via suction. It looks like a straw. Asymmetry/Symmetry – to be esthetically pleasing, the tooth size, shape, and gum contours should be as close to one side of the mouth as the other. Attachment Level – a numerical measure of the amount of attachment of the periodontal ligament (gum) to a tooth. This number is determined by combining a pocket depth measurement with a measurement of gingival recession. Attachment level is considered one of the most important measures of the progression of periodontal disease and treatment success.